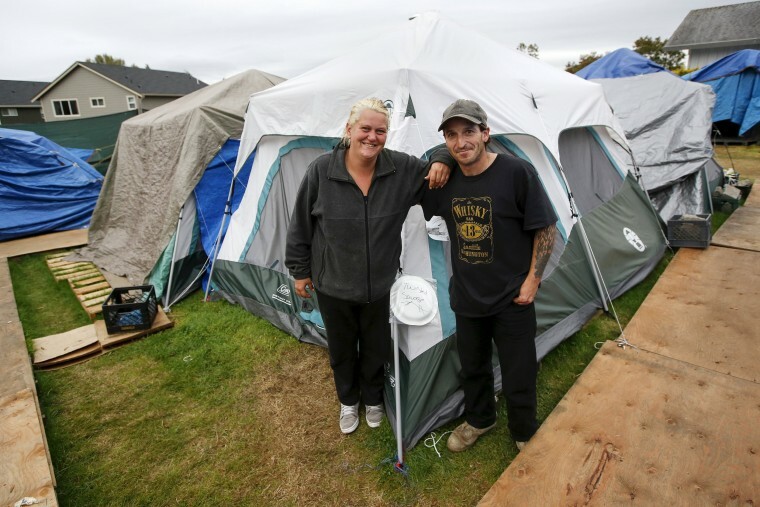 SHARE and WHEEL is a self-organized, democratic organization of homeless people which runs several tent cities in Seattle, Wash.
Shane Savage, 41, and his partner Jammie Nichols outside their tent at SHARE/WHEEL Tent City 3 outside Seattle, Wash. on Oct. 12, 2015. 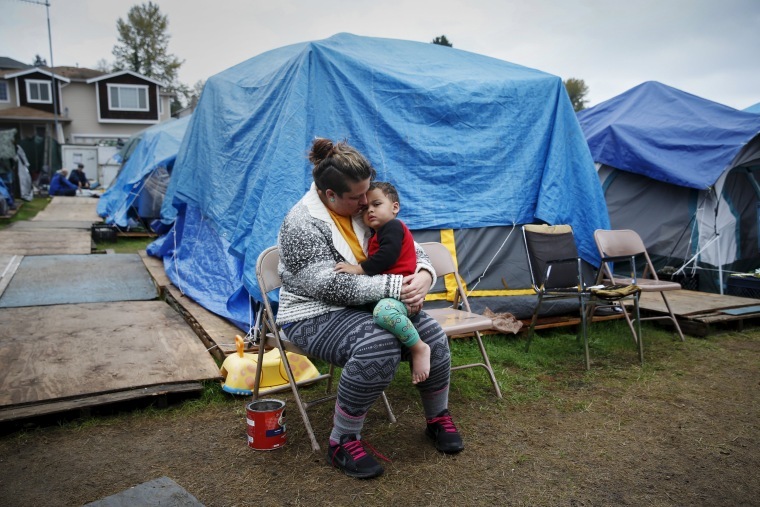 Kadee Ingram, 28, holds her son Sean, 2, at Tent City 3 on Oct 13, 2015. Ingram lost her job, and soon afterwards her partner Renee lost her job. "It got (to) the point where we couldn't get a job fast enough and we lost our apartment," Ingram said. "Coming here, we really like it, being outside especially, we feel safe. We wish we would have known about it sooner." 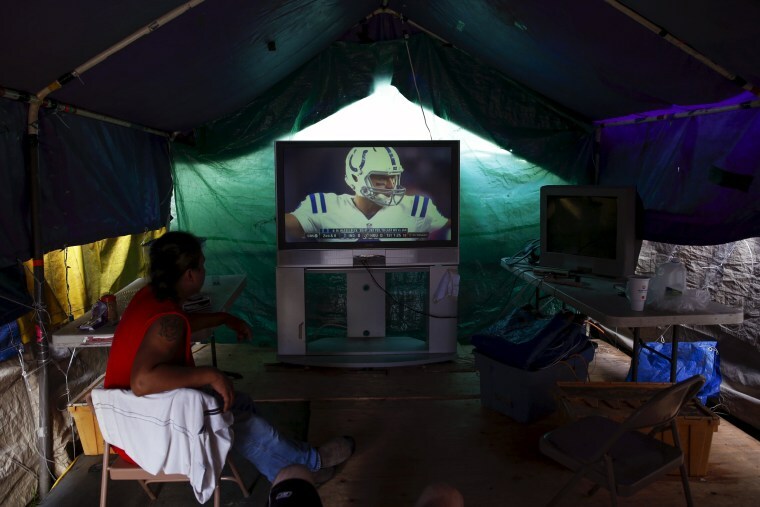 Tent city residents watch an NFL football game in their communal television area at Tent City 3 on Oct. 8, 2015. 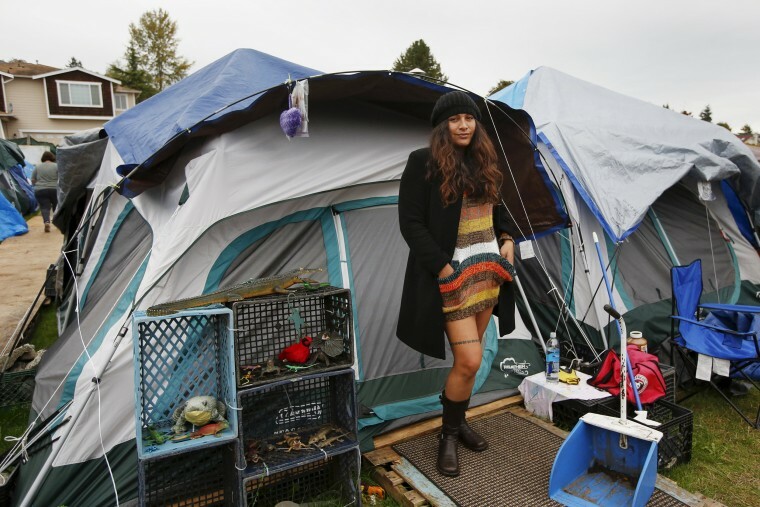 Kalaniopua Young, 32, originally from Hawaii, poses outside her tent at Tent City 3 on Oct. 12, 2015. "This is a choice I made to live here. I was lonely and depressed living in an apartment. I feel much better here with the social interaction and friendships. There is a direct democracy here with immediate results that differ from traditional bureaucracy." 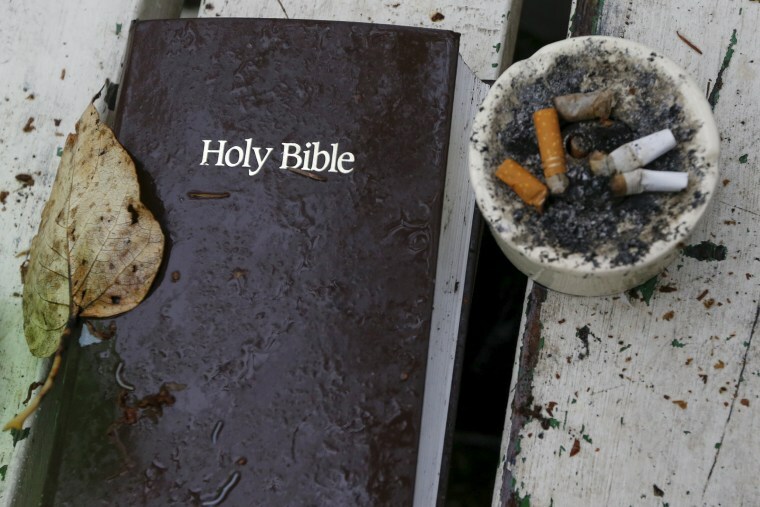 A bible and ashtray filled with cigarettes sit on a table at Tent City 4 on Oct. 9, 2015. 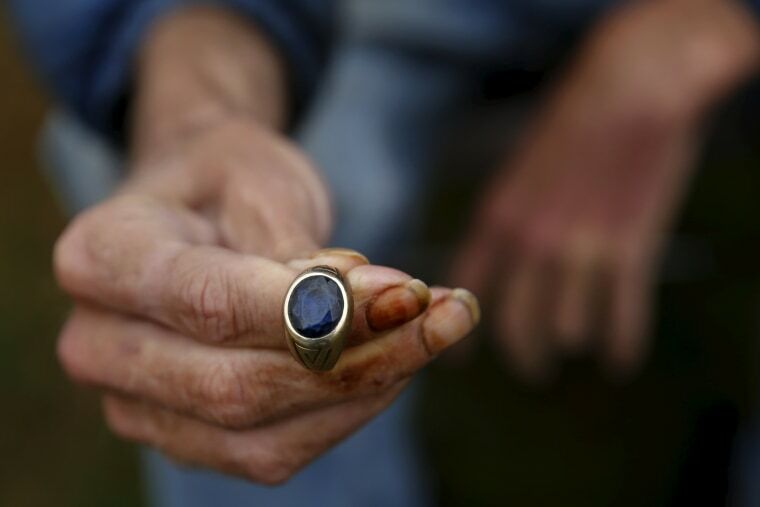 Lantz Rowland, 59, holds a ring in front of his tent at Tent City 3 on Oct. 8, 2015. "Homeless people aren't drunken bums with needles shoved in their arms slobbering in a corner. We got people working graveyard shifts, we got kids here, we got families," he said. 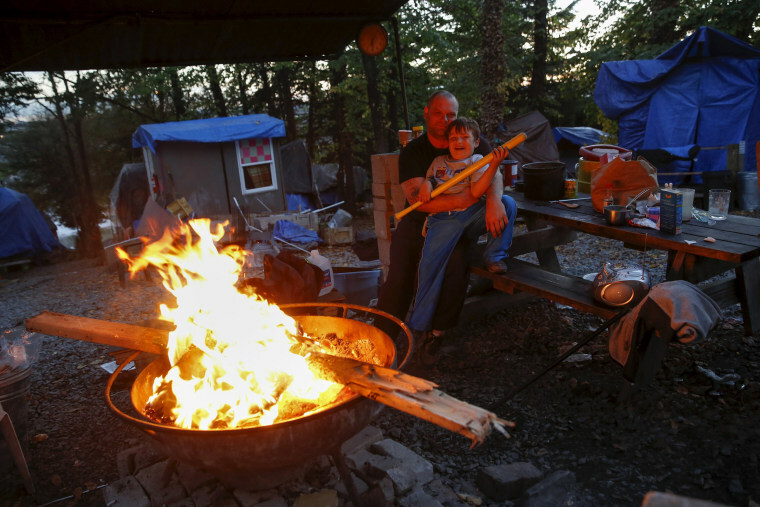 Matt Hannahs, 32, poses with his son Devin outside their tent by a wood fire at Nickelsville homeless tent encampment in Seattle, Wash. on Oct. 13, 2015. "Devin doesn't view this as a negative thing, I mean being a little boy and resilient he looks at it as an adventure. Just meeting new people and seeing new things it's basically like camping. I've always been really grateful that there is some place where you can come and go as you choose and there is safety in numbers. It's like a big family and we look out for each other," Hannahs said. 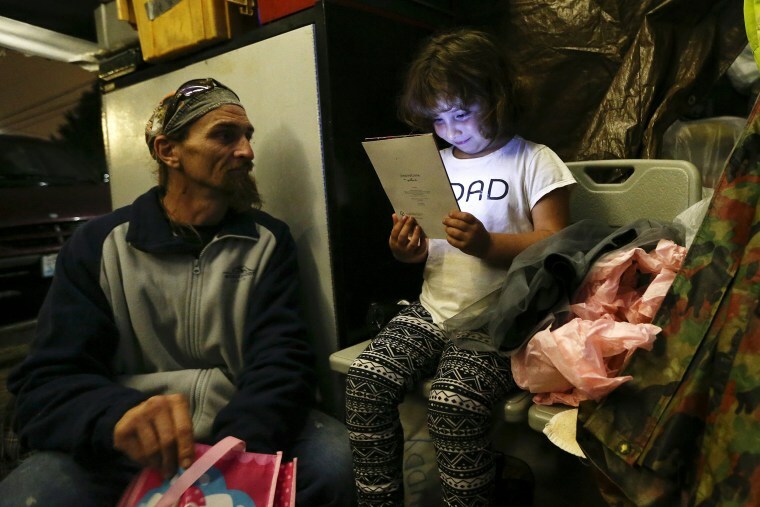 Emma Savage, 6, opens a birthday card given to her by her dad Robert Rowe, 42, a day laborer who had just returned from a 12-hour working day to Tent City 3 on Oct. 12, 2015. 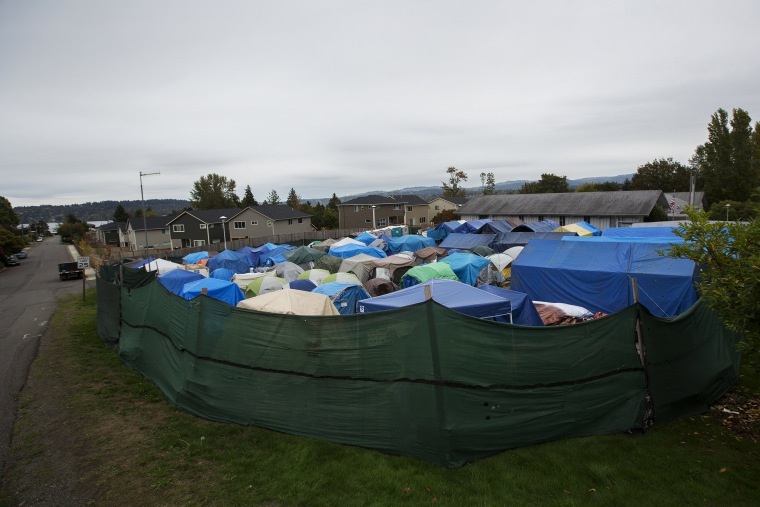 Tents stand at Tent City 3 on Oct. 12, 2015.